Empire United Soccer Academy is proud to announce the Summer Soccer Clinic Series - open for registration today! Each clinic is Four FULL days of soccer fun, training by Empire United and area coaches, a clinic t-shirt and daily lunch provided. EMPIRE UNITED IS PROUD TO PARTNER WITH SUNY GENESEO AND THE GENESEE VALLEY BRONZE BEAR SOCCER CLUB TO BRING OUR CLINIC TO THE GENESEO AND LIVINGSTON COUNTY AREA! 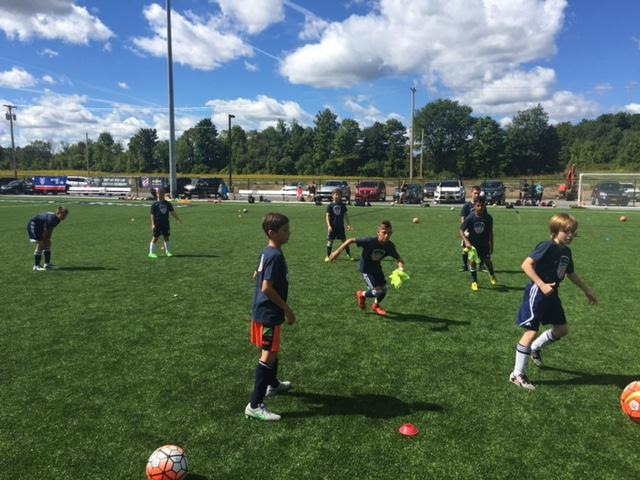 EMPIRE UNITED IS PROUD TO PARTNER WITH THE WAYNE FINGER LAKES YOUTH SOCCER LEAGUE TO BRING OUR CLINICS TO THE WAYNE COUNTY AND FINGER LAKES AREA! Generation adidas international, in conjunction with Empire United Soccer Academy, is proud to offer an amazing soccer experience. This program offers a once in a life time experience to be coached for a week by the youth coaches of one of the world's greatest professional soccer clubs. Real Madrid Foundation will be running a clinic at the Empire United Soccer Academy fields in conjunction with Empire United Soccer Academy, and you will enjoy a week of intense training with world class coaches. Open to boys and girls ages 8-17, this is an opportunity you do not want to miss. BACK FOR THE FOURTH YEAR IN FAIRPORT, EMPIRE UNITED IS PROUD TO CONTINUE OUR PARTNERSHIP WITH FAIRPORT SOCCER CLUB AND THE TOWN OF PERINTON, BRINGING OUR SUMMER CLINIC BACK TO THE FAIRPORT COMMUNITY! These clinics are open to ALL Boys and Girls from ALL Clubs, Ages 8-13. Click Here for more information and Register today!